Formica spent 13 years with Ford before joining Toyota in 2002. 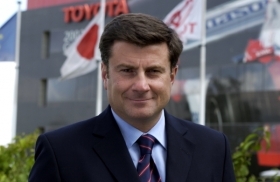 TURIN – Fiat S.p.A. will hire Toyota Motor Europe's Andrea Formica to head sales at its struggling four-brand automotive group, sources familiar with the matter told Automotive News Europe. Without being specific on the timing, the sources said that Formica, 49, will succeed Lorenzo Sistino, who took responsibility for sales at the Alfa Romeo, Lancia, Fiat car and Fiat light commercial vehicle brands in January 2009. The brands' European new-car sales were down 12.1 percent to 708,378 units in the first seven months, according to UK-based market researcher JATO Dynamics. The sources said Sistino, 48, will remain with Fiat, but it is unclear whether he will keep his CEO jobs at Fiat's car and LCV brands. Formica's hiring is part of a major management overhaul that Fiat CEO Sergio Marchionne is expected to announce later this month, the sources said. A Toyota Europe spokesman told ANE that Formica resigned Monday but declined to provide further details. Formica, who is an Italian national, spent 13 years with Ford of Europe before joining Toyota Europe in 2002. He has been the automaker's senior vice president for sales, marketing, product planning and communication since April 2008.